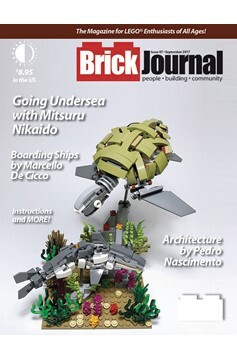 BrickJournal, the magazine for LEGO enthusiasts, makes some waves in its undersea issue! 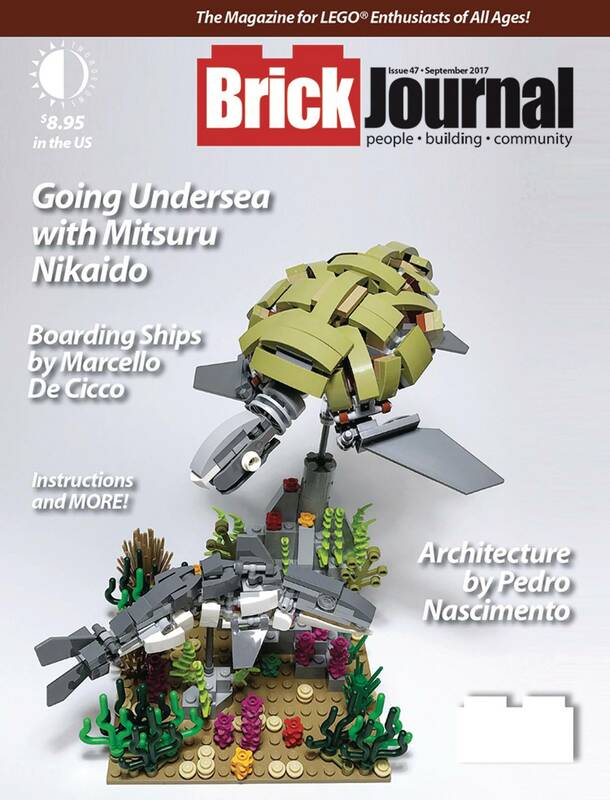 First, builder Mitsuru Nikaido shows us his undersea creatures and organic builds! Then jump aboard Marcello DeCicco's minifigure-scale warships! And see amazing architectural creations by Pedro Nascimento! Plus: AFOLs ('Adult Fans of LEGO') by cartoonist Greg Hyland, step-by step 'You Can Build It' instructions by Christopher Deck, BrickNerd's DIY Fan Art, Minifigure Customization with Jared K. Burks, Mindstorms robotics lessons by Damien Kee, and more!.